Thank you to Dutton Books for sending me a copy of Spontaneous. "A darkly funny and spectacularly original exploration of friendship, goodbyes—and spontaneous combustion. Whip-smart and blunt, Mara narrates the end of their world as she knows it while trying to make it to graduation in one piece. It's an explosive year punctuated by romance, quarantine, lifelong friendship, hallucinogenic mushrooms, bloggers, ice cream trucks, 'Snooze Button™,' Bon Jovi, and the filthiest language you’ve ever heard from the President of the United States. 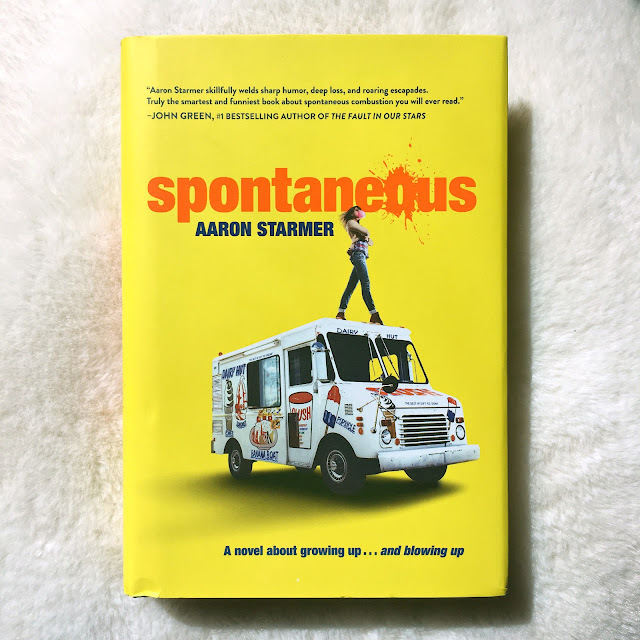 Aaron Starmer rewrites the rulebook with Spontaneous. But beneath the outrageous is a ridiculously funny, super honest, and truly moving exemplar of the absurd and raw truths of being a teenager in the 21st century . . . and the heartache of saying goodbye." “And as long as the world spins on, we can still dance. No matter who we are, we can always dance." I do want to, however, give sincere praise for the original concept which I found very cool: students at the Mara's high school keep spontaneously combusting and no one knows why. This is a phenomenal premise: strange, interesting, immediately engaging, and metaphorical--props to the author for that. That being established, I began reading this novel with really high expectations, curious as to how these random explosions would play out in regards to finding a cure. 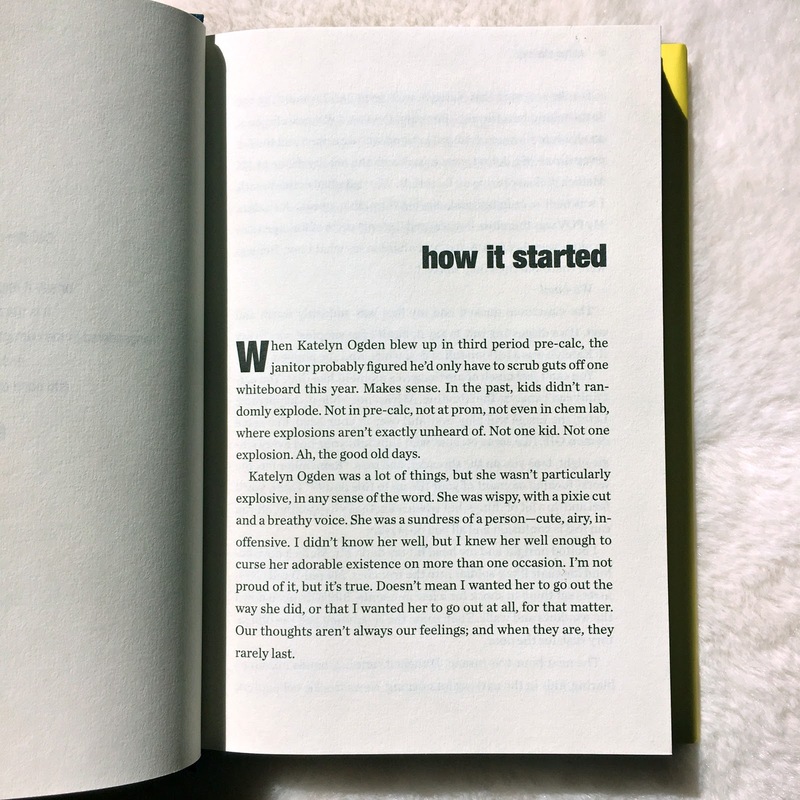 Sadly, the text was profane and the narrative seemed to not only depict but also condone teen drug use, and eventually I decided to set it down. It is a shame because I was definitely curious to see what happened. I still think the premise holds a lot of promise and I'd like to read someone else's summary to see how it all plays out, but it wasn't worth it for me to continue.